“All political power comes from the barrel of a gun. The communist party must command all the guns, that way, no guns can ever be used to command the party.” - Mao Tze Tung, Nov 6, 1938 China established gun control in 1935. From 1948 to 1952, 20 million political dissidents, unable to defend themselves, were rounded up and exterminated. Germany established gun control in 1938, and from 1939 to 1945, millions of Jews and others, who were unable to defend themselves, were rounded up and exterminated. The Denver Post, on February 15th, ran an Associated Press article entitled Homeland Security aims to buy 1.6b rounds of ammo, so far to little notice. It confirmed that the Department of Homeland Security has issued an open purchase order for 1.6 billion rounds of ammunition. As reported elsewhere, some of this purchase order is for hollow-point rounds, forbidden by international law for use in war, along with a frightening amount specialized for snipers. Also reported elsewhere, at the height of the Iraq War the Army was expending less than 6 million rounds a month. Therefore 1.6 billion rounds would be enough to sustain a hot war for 20+ years. In America. The world is divided into the House of Islam and the House of War, the Dar al-Islam دار الإسلام and the Dar al-Harb دار الحرب. The Dar al-Islam is all those lands in which a Muslim government rules and the Holy Law of Islam prevails. Non-Muslims may live there on Muslim sufferance. The outside world, which has not yet been subjugated, is called the “House of War,” and strictly speaking a perpetual state of jihad, of holy war, is imposed by the law. The law also provided that the jihad might be interrupted by truces as and when appropriate. In fact, the periods of peace and war were not vastly different from those which existed between the Christian states of Europe for most of European history. The law thus divides unbelievers theologically into those who have a book and profess what Islam recognizes as a divine religion and those who do not; politically into dhimmis أهل الذمة, those who have accepted the supremacy of the Muslim state and the primacy of the Muslims, and harbis, the denizens of the Dar al-Harb, the House of War, who remain outside the Islamic frontier, and with whom therefore there is in principle, a canonically obligatory perpetual state of war until the whole world is either converted or subjugated. We can agree the western kleptocrats are using Islam to maintain power by diluting the native vote in eurostan, but what they don’t realize is that they are sowing the seeds for their own demise. There is an old adage about when you try to use the devil the devil ends up using you. The term metadata refers to “data about data”. The term is ambiguous, as it is used for two fundamentally different concepts (types). Structural metadata is about the design and specification of data structures and is more properly called “data about the containers of data”; descriptive metadata, on the other hand, is about individual instances of application data, the data content. In this case, a useful description would be “data about data content” or “content about content” thus metacontent. Descriptive, Guide and the National Information Standards Organization concept of administrative metadata are all subtypes of metacontent. Its strategy is to control and manipulate, through fear and insecurity. 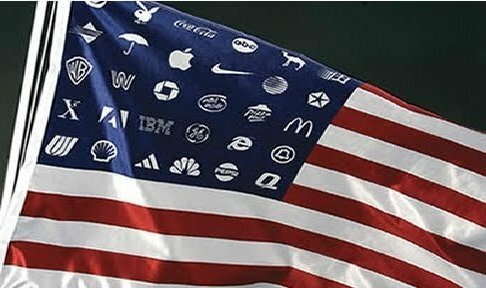 Its ultimate goal is to subjugate and exploit human beings (“they” address human beings as: “human resources/capital/assets,” in a very duplicitous manner). .ti taeper ot demood era yrotsih fo tnarongi esohT Some human beings say: “if you have nothing to hide, you have nothing to fear.” This is blatant deception and manipulation. Millions of human beings, slaughtered (by mao, stalin, hitler, idi amin, papa doc, baby doc, pol pot, general ratko mladić, slobodan milošević) as recently as the 20th century, had nothing to hide and were doing nothing wrong. That which doesn’t need to be hidden today, may become a personal liability tomorrow (governments and “agendas/strategies” change, as history demonstrates). Extensive records of each citizen’s behaviors are permanently stored, for retrieval at any time; subject to the prevailing “zeitgeist” and intense scrutiny of the corresponding age. Be AWARE, be absolutely fearless! Fascism manipulates and deceives by inducing fear. Information is power, anyone who has studied financial mathematics knows this. Arbitrage and acquisition of money without creation of value is best achieved by an imbalance in information. The Republicans will do nothing about this, the Democrats will do nothing about this, nor will the Liberals, Conservatives, NDP, Labour Party, or any other party running for office. They want to control the levers of power, not break apart this massive machine. That information is the potential to rule with almost absolute power, why would they ever consider getting rid of it? Today, an oppressive government has no need for a Stazi, it is trivial to see who everyone else relates to, simply through their followers and friends on Twitter and Facebook. Joseph McCarthy would have a field day. “Are you now, or have you ever been a communist?” is answered by a quick glance at our Twitter or Facebook timeline. First Amendment – U.S. Constitution: Congress shall make no law respecting an establishment of religion, or prohibiting the free exercise thereof; or abridging the freedom of speech, or of the press; or the right of the people peaceably to assemble, and to petition the Government for a redress of grievances. Second Amendment – U.S. Constitution: A well regulated Militia, being necessary to the security of a free State, the right of the people to keep and bear Arms, shall not be infringed. Unarmed African slaves were hung from trees (strange fruit) and terrorized, in a “civilized” country for a century, at least. You prefer that they were not allowed to own firearms to defend themselves? The Tuskegee syphilis experiment was an infamous clinical study conducted between 1932 and 1972 by the U.S. Public Health Service to study the natural progression of untreated syphilis in rural unarmed African American men who thought they were receiving free health care from the “civilized” U.S. government. Beginning in 1942, for the duration of WWII, 110,000 Japanese American U.S. citizens were tossed into concentration camps in the U.S.A. They lost their businesses. Many lost family members and friends; lives were destroyed. J. Edgar Hoover and Joseph McCarthy terrorized the population and destroyed lives and careers, in a “civilized” country. You prefer that we’re not allowed to own firearms to defend ourselves? Fourth Amendment – U.S. Constitution: The right of the people to be secure in their persons, houses, papers, and effects, against unreasonable searches and seizures, shall not be violated, and no Warrants shall issue, but upon probable cause, supported by Oath or affirmation, and particularly describing the place to be searched, and the persons or things to be seized.
. . . refine and enlarge the public views by passing them through the medium of a chosen body of citizens whose wisdom may best discern the true interest of their country and whose patriotism and love of justice will be least likely to sacrifice it to temporary or partial considerations. Under such a regulation it may well happen that the public voice, pronounced by the representatives of the people, will be more consonant to the public good than if pronounced by the people themselves, convened for the same purpose (Federalist No. 10). There are particular moments in public affairs when the people, stimulated by some irregular passion, or some illicit advantage, or misled by the artful misrepresentations of interested men, may call for measures which they themselves will afterwards be most ready to lament and condemn. In these critical moments, how salutary will be the interference of some temperate and respectable body of citizens, in order to check the misguided career and to suspend the blow meditated by the people against themselves, until reason, justice and truth can regain their authority over the public mind(Federalist No. 63). In the strictest sense of the word, the system of government established by the Constitution was never intended to be a “democracy.” This is evident not only in the wording of the Pledge of Allegiance but in the Constitution itself which declares that “The United States shall guarantee to every State in this Union a Republican Form of Government” (Article IV, Section 4). Moreover, the scheme of representation and the various mechanisms for selecting representatives established by the Constitution were clearly intended to produce a republic, not a democracy. To the extent that the United States of America has moved away from its republican roots and become more “democratic,” it has strayed from the intentions of the Constitution’s authors. Whether or not the trend toward more direct democracy would be smiled upon by the Framers depends on the answer to another question. Are the American people today sufficiently better informed and otherwise equipped to be wise and prudent democratic citizens than were American citizens in the late 1700’s? By all accounts, the answer to this second question is an emphatic “no.” The enemies of Fascism 2.0 are: independent thinkers, critical observers, the inquisitive, the fearless, having knowledge of history, awareness of economic trends, discernment of non-physical events. 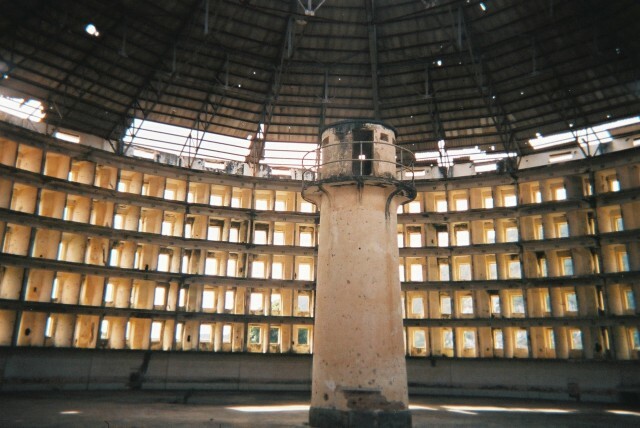 It’s happened before; this time it’s globalized and enhanced: Fascism 2.0 (the panopticon)! NOTHING TO HIDE=NOTHING TO FEAR! And, this time, everyone is welcome! Baraka is a 1992 non-narrative film directed by Ron Fricke. The title Baraka means “blessing” in a multitude of languages. In this five minute piece you get to see the Whirling Dervishes of the Mewlewī Sufi Order, the Western or Wailing Wall, the Kaaba or Noble Cube in Mecca, Hagia Sophia in Istanbul, Papal Basilica of Saint Peter in the Vatican, the Mausoleum of Shah-e-Cheragh in Shiraz and the Church of the Holy Sepulchre in Jerusalem. With the music of the Harmonic Choir/David Hykes’s ‘Rainbow Voice’ mixed with Michael Stearns’ ‘Mantra Organics’.